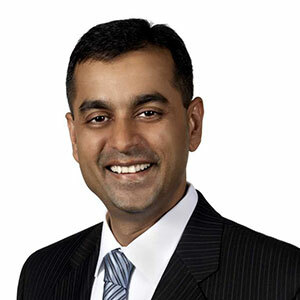 Last year, Sid Keswani (pictured), a former executive at Target Corp. and CEO of grocery chain Fiesta Mart, became head of Pandora for the Americas. This morning, Keswani spoke to JCK, to update readers on the brand’s plans for 2019 and discuss last week’s annual conference with its franchisees and retail partners. Also on the call was Alan Zimmer, the president and CEO of Reeds Jewelers, which owns 18 Pandora stores and 39 shop-in-shops. JCK: Sid, can you talk about how the company now looks at the U.S. market differently? Sid Keswani: I’ve been here for about six months. Alan and a couple of his peers have taken me under their wing. We have really solidified our partnership with the franchise council that we have in the United States. And we just formed one in Canada. In November, we announced that our franchisees are our strong partners and this thought process around buybacks is going to stop. The focus is going to be on how [Pandora and its franchisees] move forward together. What was the thinking behind the decision to stop the franchise buybacks? We see that as a strategic decision by previous management that we no longer believe is the right direction. I have looked at the financials before coming on board. We truly believe that the franchise partners can run these businesses more efficiently. Do you expect to take on new franchisees? Our network is pretty stable. We will always close a few stores, we will open a few. If we do open a new store, our first step will be to look at the current franchisees. So if you do open new stores, will they be owned-and-operated stores or franchises? We are looking at each market. We have one owned-and-operated store scheduled to open in 2019, in Hudson Yards, New York City. That was already in planning. But going forward, our goal is to look at each market and give the opportunity to the franchisees. It’s not a one size fits all, but franchisees will be part of the new locations. Over the years, Pandora has significantly trimmed its multi-brand retail network. Do you see a reversal there? A few years ago, we closed quite a few locations. We are now looking at it differently. We will have continued partnerships with the multi-brand stores. We are looking at some ways to reinvigorate the network across the U.S. There are places that don’t need a full-line store, but a multi-brand location would be a great asset to the market. There are places where we will fill in a few pockets. Alan Zimmer: Speaking as a partner, this is just great news. Sid was a retailer, he gets it. I told somebody, the thing that Sid brings to the table is a kinder, gentler Pandora. [Reeds] has a lot of shop-in-shops. Pandora is a critical brand for us. We can convert that Pandora traffic into engagement rings. We are just delighted with the retail-centric focus. 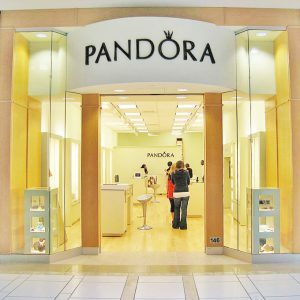 There have been complaints that Pandora keeps its best products, specifically the Disney line, for its owned-and-operated stores. Will that change? Keswani: Specifically for Disney, there are some limitations with the Disney contract. But on the other pieces, we have opened the dialogue on how we can better service our multi-brands. This subject came up on the most recent conference call: Given the history here, is Pandora able to repair its relationship with its retail partners and franchisees? I think from my end, we have to both come to the table and we have to move forward. I understand how tough [retail] is. We have made some steps in the right direction, and I have no doubt we will continue in that direction. We are introducing new omnichannel initiatives in the U.S. where we will share profits with our franchise partners. Zimmer: We are seeing a sea change for the franchisees. We were always worried that Pandora was going to encroach on our business and steal our profits. The new plan is how we can both share profits. That was just wonderful. It wasn’t just Sid saying this at the retail conference. They also had their chief operating officer, [former Body Shop CEO] Jeremy Schwartz, come in from Copenhagen. That was just comforting to know. When we first opened our Pandora business in 2011, you just opened your doors and people were clamoring to get in. The days of hyper-growth are over. Everything in retail is tougher now, and it’s really about the future and working hand in hand. We don’t live in a perfect world, and there will be some things we will disagree on. But the whole mentality is different. Pandora is looking for a new CEO. How can we be sure it’s committed to this path? Keswani: Right now, we have a joint office of the CEO and the board is very involved. I have had personal conversations with the chairman. All are aligned in this direction about supporting the franchisees. You never say never but at this point all parties are behind this. Executives also mentioned increasing the frequency of new product. Newness is important. Newness drives people to the store. The new launches focus on full-price offerings and let us get rid of some of the promotional activity. In 2018, we had seven new drops. In 2019, we will have 10. What can we expect to see from Pandora as far as new initiatives? 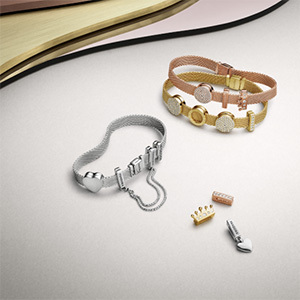 Last year, we launched a new bracelet, Reflexions. We will continue to support that. We have a beautiful new launch coming, Pandora Garden. We have a good partnership with Disney involving The Lion King. We have a new innovation coming in October, but we can’t give you specifics on that. Zimmer: All the franchisees were really excited about their first new bracelet. The demand outstripped the supply. We were very excited about the 10 drops versus seven. They were able to create events for each launch, and they all sold at full price. So that’s better margins and better for everyone.